Australia have won the ice hockey Trans-Tasman Challenge by beating New Zealand in a shootout in the deciding game three in Queenstown. The two sides were locked at 3-3 at full-time before a scoreless overtime period at the NZ Winter Games on Saturday. Mighty Roos goalkeeper Charlie Smart denied two New Zealand attempts as goals to veterans Brendan McDowell and Thomas Powell proved the difference in the shootout, won by Australia 2-0. The result continues world No.33 Australia’s dominance over their hosts, winning 16 of 18 games over the past 30 years. 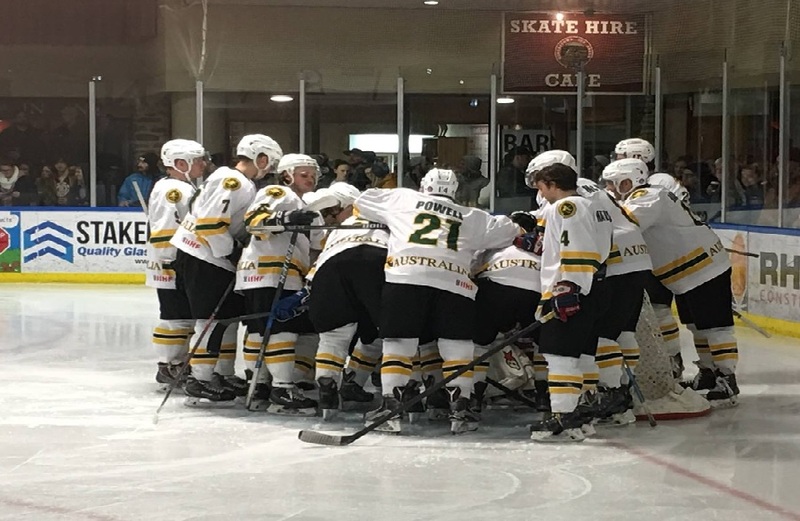 A thrilling final and deciding game of ice hockey in the Trans-Tasman challenge has been set up with Australia’s Roos winning game two of the three game series over the Ice Blacks, 2-0. The three test match series is leveled at one game apiece heading into the final, which will be played in Queenstown on Saturday night. The Ice Blacks surprised the Roos on Thursday night with their 4-1 win – only the second time in thirty years of games between the two countries that New Zealand had prevailed. The Australians have now won 15 times, New Zealand twice. The Trans-Tasman Challenge three game series comes at the end of the Winter Games NZ which hasn’t seen ice hockey as part of the elite winter sport gathering since 2011. The game began straight from where it was left in game one – intense and fast. There were seven minutes before the first penalty went to the Ice Blacks. Under intense pressure the Ice Black’s held the Roos out to see them back to five on five. The Roos forced a hooking call and another penalty to them gave the Ice Black’s a 5-on-3 advantage. However, it was a strong first period for Roos goaltender who made some crucial saves. Eventually the Ice Blacks were called for tripping and the Roos capitalized with a power play goal by Per Daniel Goransson. With seconds to go the Ice Blacks pulled their goalie to go in search of an equalizing goal, however the Roos defence held firm and captain Tommy Powell scored an open net goal to seal the 2-0 win. Puck drops for the final game at 7pm on Saturday night.